I started this job at the end of March and then got married in May. While it’s been the best adventure with a lot of new changes in my life, I’ve learned countless things while being married and working at YES. One of the biggest things I had to learn was that now more than ever, my attitude didn’t just affect me anymore but also my husband and coworkers. Some days I would come home and be so happy! I was fun and pleasant to be around. Other days however, I could feel myself be grumpy or feel frustrated from a hard day at work. I noticed the toll it was taking on my husband and I. I recognized a pattern: When I have good days at work I have good days at home. I took a class called “Balancing Work and Family.” In it we discussed how the way your workday plays out will greatly influence the rest of your day. For me, work is first. School, working out, making dinner, etc. all comes after work. How can I expect to have a good attitude at home when it was poor at work? 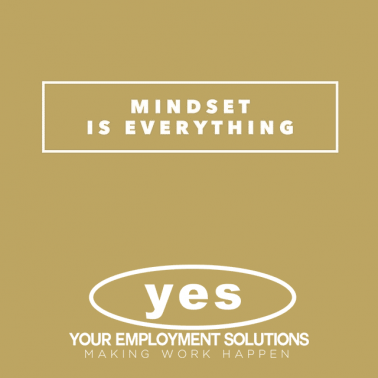 It generally is easy for me to have a positive attitude because the people I work with here at YES are amazing. We all get along so well and each bring something different to the table. But that doesn’t mean I can’t have a bad day. I used to let my bad days carry over to my home life, affecting my work outs, my homework, my eating habits, everything. So I decided to change my attitude. Having a bad day at work is no excuse to make my fellow coworkers or my husband suffer through putting up with me. I changed my mindset to be positive because when I have a good attitude (even through a less than ideal day at work) then I have a positive attitude at home. When I have a positive attitude at home, then I come to work with a positive attitude and the cycle continues. For some, making this change could be harder than others. Maybe you don’t like your job or maybe you don’t like your fellow employees. All of these reasons make it easy to have a bad attitude. But why should you let that affect your entire day or sometimes even your life? 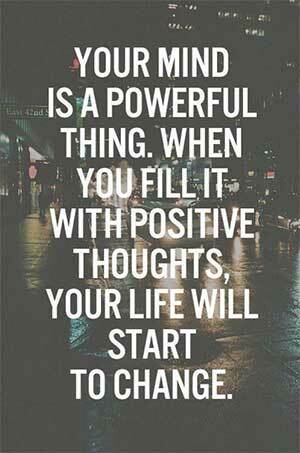 You are in control of your attitude and that will never change. If you have a negative mindset, change it. Just like that. Think about all the good in your life, after all at least you have a job and are working hard to provide for yourself. Most of us already spend most of our time at work anyways so we might as well get the best, positive experience from it that we can. Being happy and friendly will create a better relationship with your fellow colleagues and that happiness will carry over to your home life. And who doesn’t want a happy home life? If you find yourself struggling with this, I encourage you to try the change. It will make you so much happier! I am a witness. Mae-Lynn is an account manager at the Your Employment Solutions North Salt Lake, Utah office. She helps Utah jobseekers find employment in the Salt Lake City area.